AUSTIN – The Texas Department of Public Safety (DPS) today began deploying NARCAN kits, along with tactical emergency training, to all Texas State Troopers to provide an additional lifesaving tool for the public and law enforcement. NARCAN kits can help reverse a known or suspected opioid overdose. In 2018, Troopers seized 94.5 pounds of fentanyl, which constitutes more than 23-million lethal doses. Fentanyl is a synthetic opioid 80-100 times stronger than morphine. While a small percentage of Troopers were recently provided NARCAN kits and training, the distribution of NARCAN kits to every DPS Trooper across the state began today. 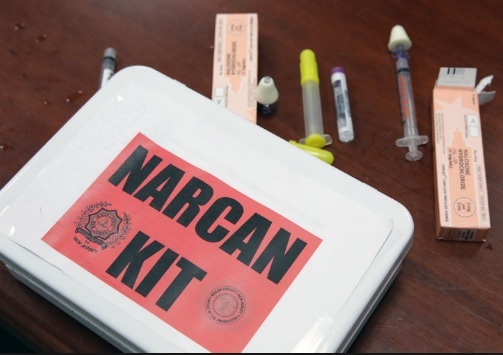 In an emergency situation, along with the proper training, NARCAN provides Troopers with another tool to combat opioid overdoses, a nationwide epidemic, while out in the field and waiting on emergency medical care to arrive. This tool can also help save the lives of law enforcement or first responders who may be exposed to lethal levels of substances such as fentanyl on the job.